Last Thursday I was invited to a food event held in Selfridges Trafford Centre, so I decided to stay a little bit longer to indulge in some Christmas shopping. 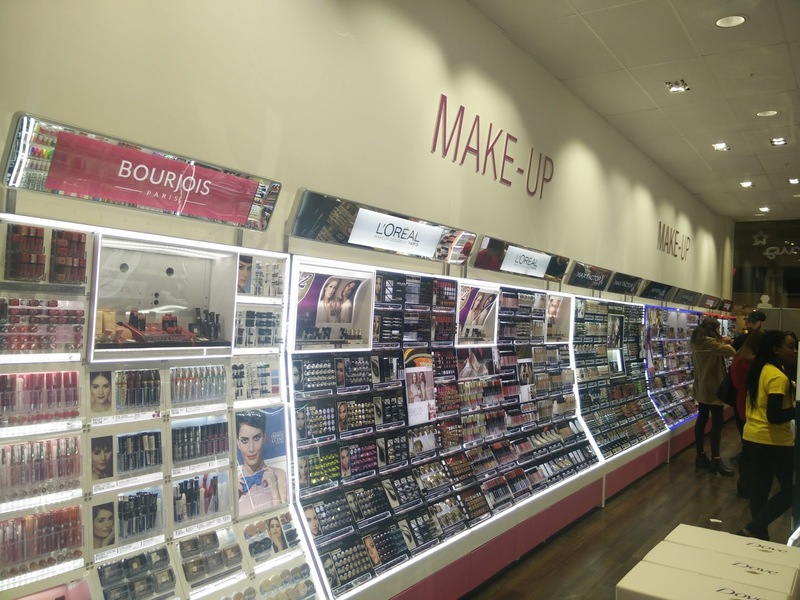 I went inside Superdrug to explore the usual Make Up Revolution and MUA cosmetics (both Superdrug exclusive) and my jaw nearly dropped on the floor. The store has been completely renovated and let me tell you, it's A MA ZING! It was refurbished not longer ago but now, it looks ten times better. 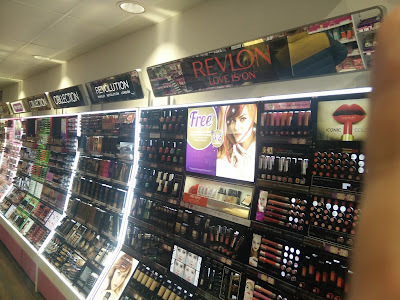 The make up section is on the right hand side of the shop, opposite place to where it used to be. 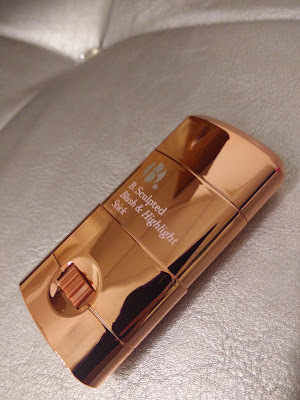 The lights are incredible, finally I did not have to wonder around with my arm full of swatches in order to capture the good light and check the real colours. 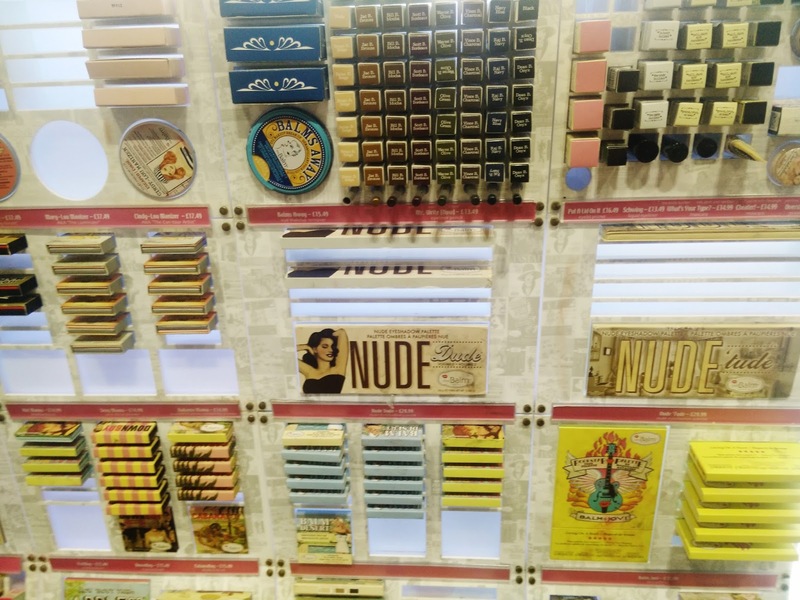 All the different stands are so spacious and mirrors are everywhere for a quick make up fix. There is a braid bar and a B.for Beautiful dressing table, together with the usual threading corner. 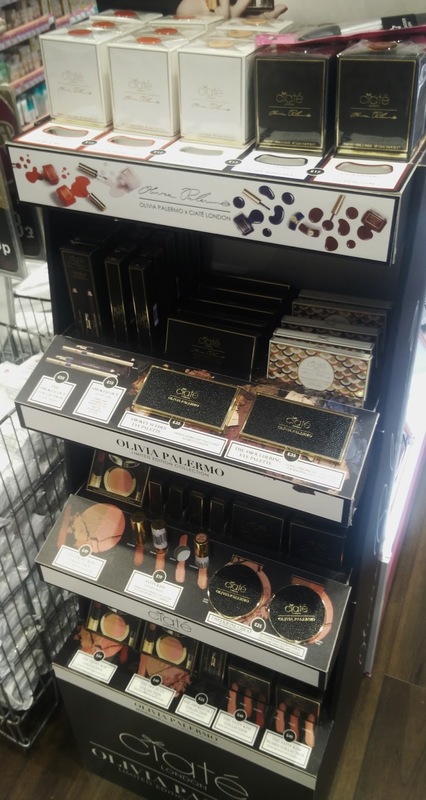 The best part of all the refurbishment was that new brands have been added to the already big selection available. 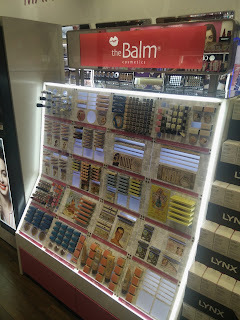 I am talking about The Balm (that has been seen briefly in Harvey Nichols and then was in Superdrug online only), Ciate' for Olivia Palermo (so good but ridiculously expensive), Lottie London and Make Up Revolution. 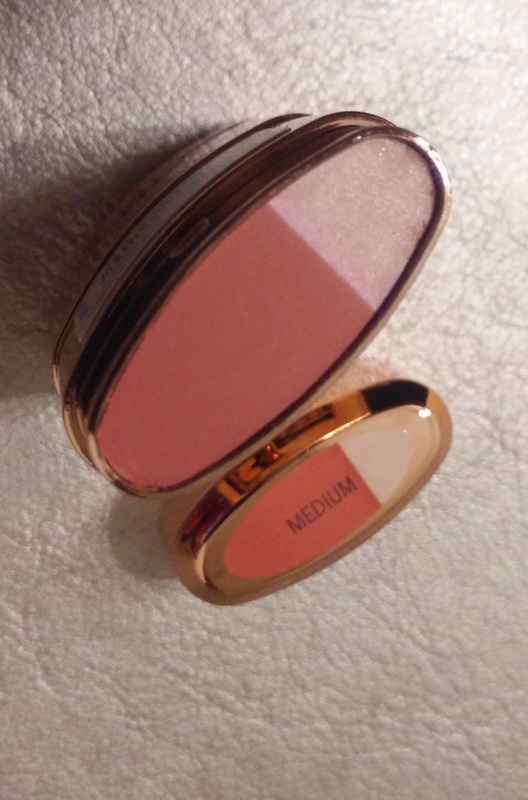 I spotted this B.sculpted Blush and Highlight (£7.49) stick on Instagram few months ago and I knew I had to get it. 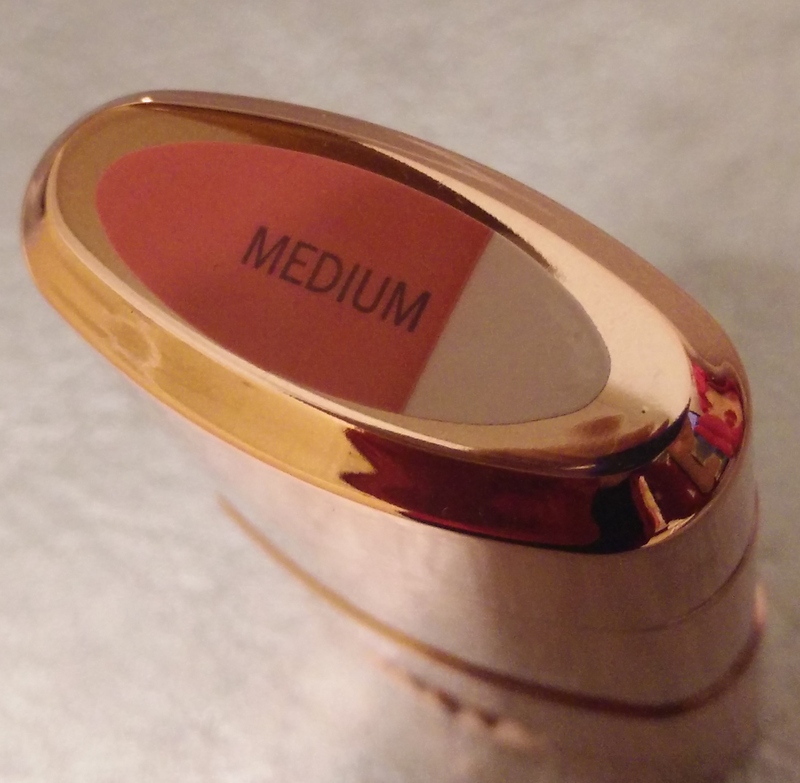 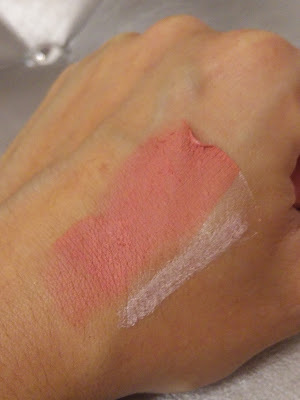 It's a creamy stick that contains a blush and a highlighter, it's available in Light, Medium and Dark. 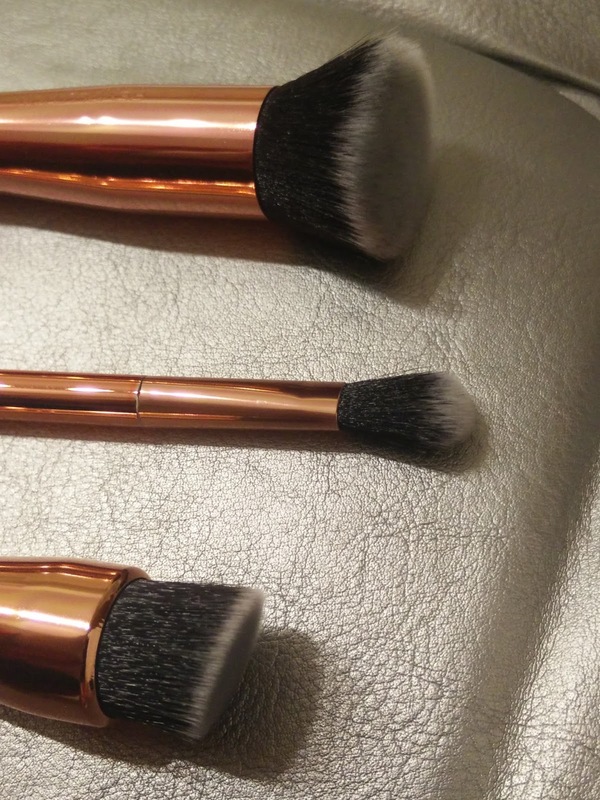 You apply it following your cheekbones and then blend it. 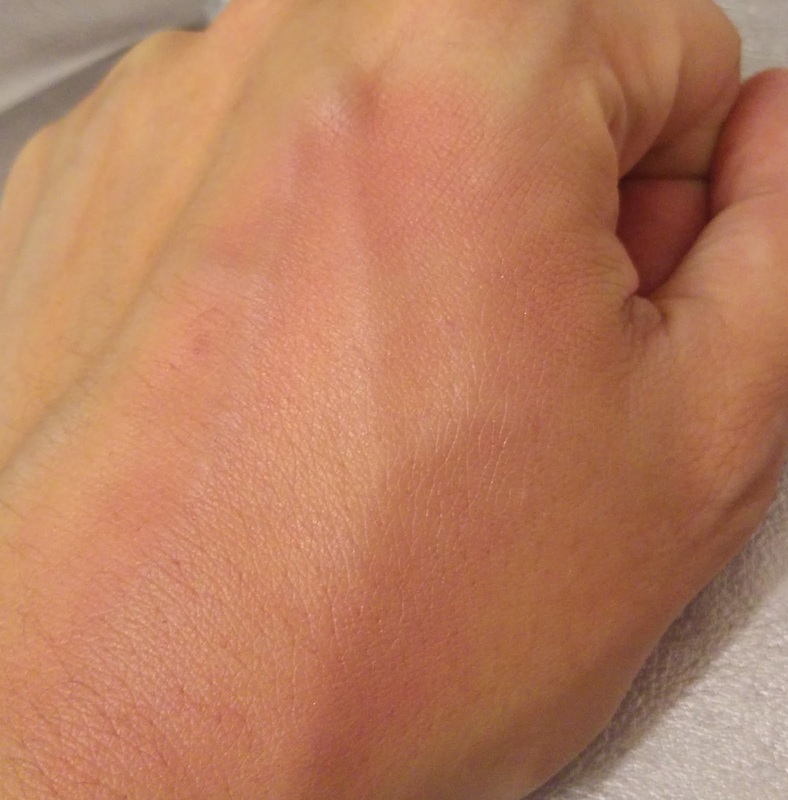 The blush has got a matte finish whilst of course the highlighter is quite shimmer. It's a fool-proof product, extremely easy ans nice to use, one of those multi function cosmetic ideal when you travel. 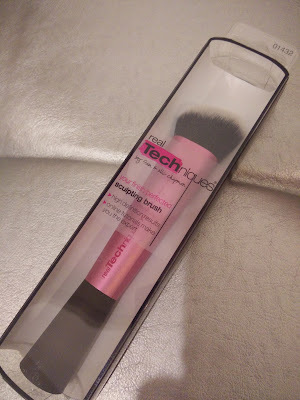 At this point, I needed a brush to blend it...how lucky the Real Techniques Sculpting brush (£6.65) was on sale? 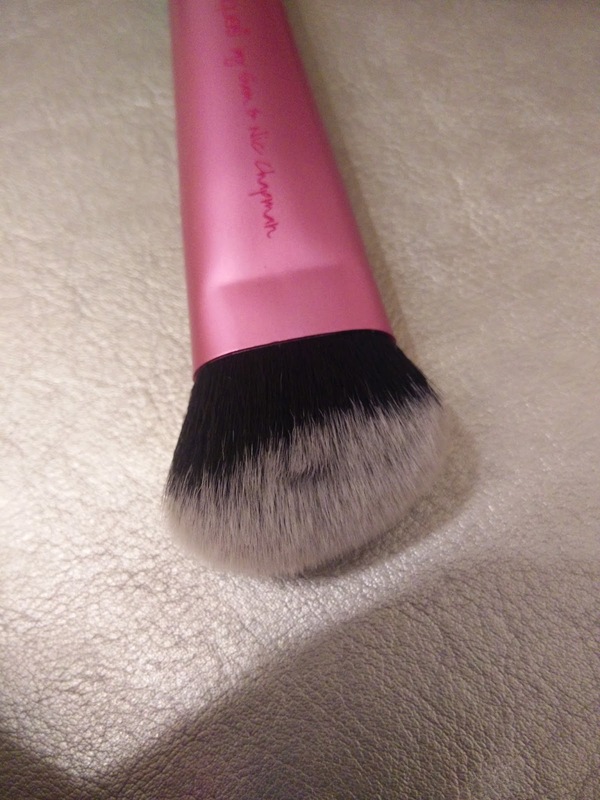 The thing I like most about this brush is that it's very dense but at the same time, it's incredibly soft. 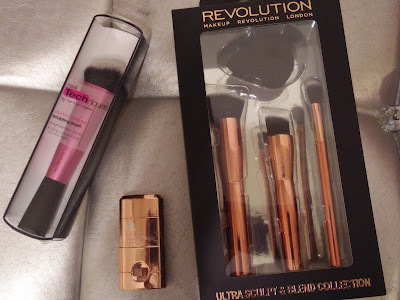 Staying on the brush isle, I got this set, the Ultra Sculpt and Blend by Make Up Revolution (£14.99). 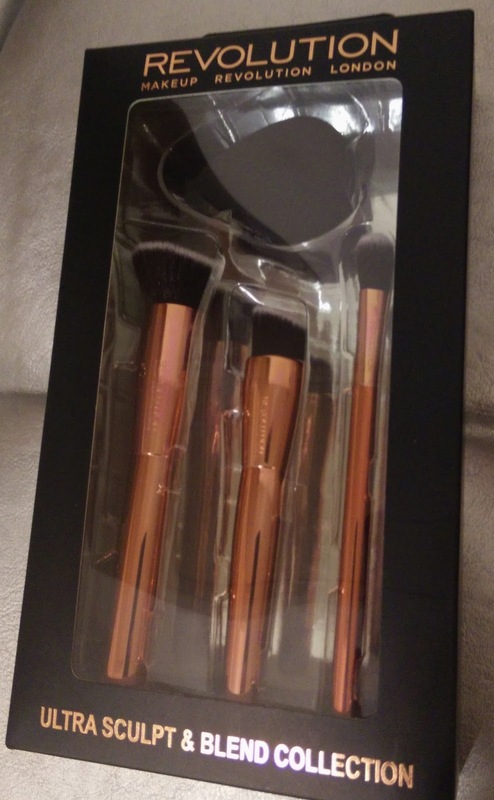 There are three brushes and a sponge. 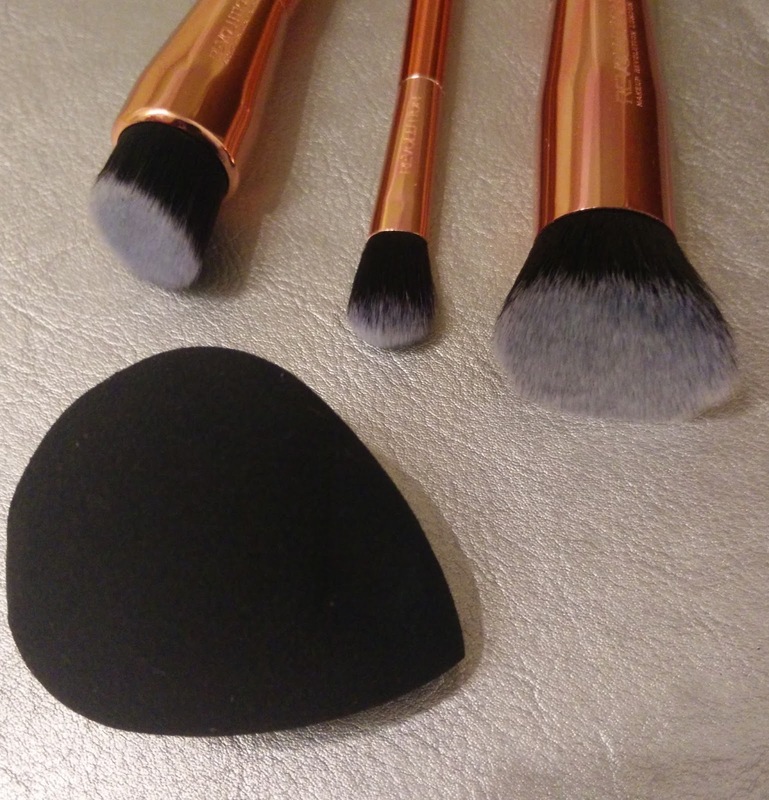 The black sponge is very similar to the beauty blender but it's slightly softer. 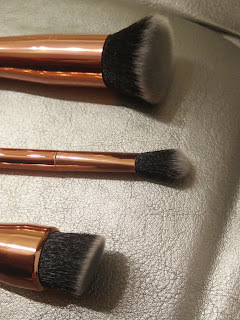 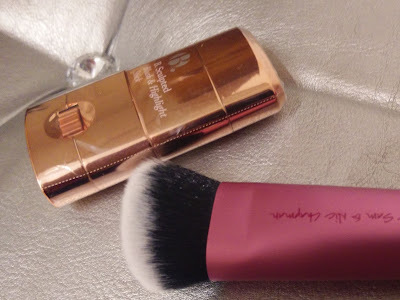 The brushes are all synthetic, with a rose gold medium length handle and duo fibre bristles. 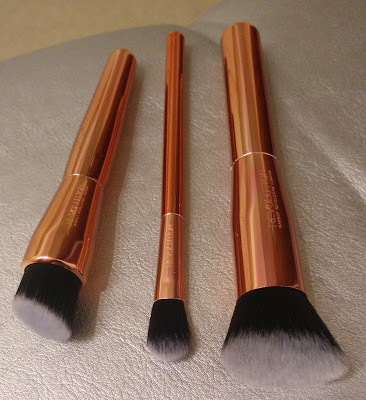 I am gonna use the big one for foundation, the medium one for contouring and the small one for eyeshadows. 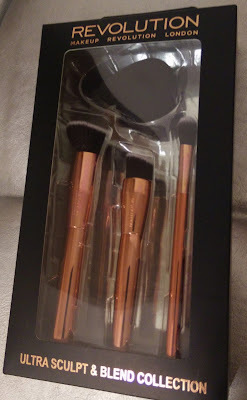 I got something else but it was such a bargain it deserves its own post! So next time you visit the Traffor Centre in Manchester, go and have a look to Superdrug, you will thank me later. I hope to see the same kind of renovation in the other Superdrugs around Manchester.